What Is The Difference? How Do I Choose? Q TIPs are also able to protect trust assets in the event of a spouse who perhaps isn’t as financially responsible as the donor would like by securing the assets for any eventual beneficiaries, such as children and grandchildren, by placing the assets within something akin to an irrevocable trust structured such that, upon the death of the spouse, the assets and any income that they have generated are transferred to the beneficiaries. Unlike Q TIPs, the surviving spouse does not have to take annual allotments. Note that both QTIPs and Marital Trusts are only available to U.S. citizens who are married, while different trusts are available for individuals involved in domestic partnerships, for example. 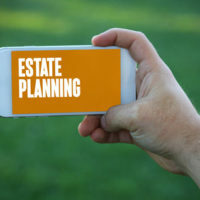 As Florida attorneys who have helped a number of clients with estate planning and choosing what plans are best for themselves and their families, we can provide you with that same kind of advice and counseling for your future. Contact us today at Gierach and Gierach, P.A. for a free consultation to find out more.